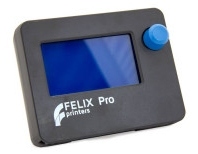 FELIXprinters | One of motors not working, printer axis not moving. 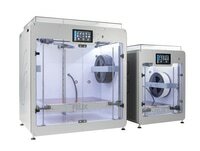 The temperature of the selected extruder is not above 150 degrees Celcius. There is a safety feature built in preventing cold extrusion. An axis of the motor is not homed yet. (homing means that the motor has not found its zero position yet. This is normally the case when you just turn on the printer and when a print-job is killed by an emergency stop. This is also done for safety reasons. The motor wires are broken. When one of the motor-wires are broken internally, the motor is not able to rotate properly. Potmeters of the stepper drivers are not properly setup. The stepper drivers are broken. This is not very common but it could be that the stepper driver on the control board is broken. Connector on stepper motor is defect or not properly seated. The pins of the stepper drivers make contact with the powersupply housing (only for the FELIX Tec series). This is causing a local short preventing the motor to turn correctly. This does normally not damage the control board. So properly mounting the control board should solve this issue.